And, I am not alone in this – there are so many people who have voiced the same opinion. If you are a developer could you afford to ignore such a platform? Especially, when all the applications that you develop will run not only on the Windows 8 laptop and desktop but also on the Windows 8 Phone. Add to that the fact that Microsoft application development environment has always been the easiest to learn and most productive. Even before this launch “Developer Economics 2012 survey by Vision Mobile” show that 57% of the developers plan to adopt Windows Phone platform. Now, they have been given one more impetus to convert their plan to action. 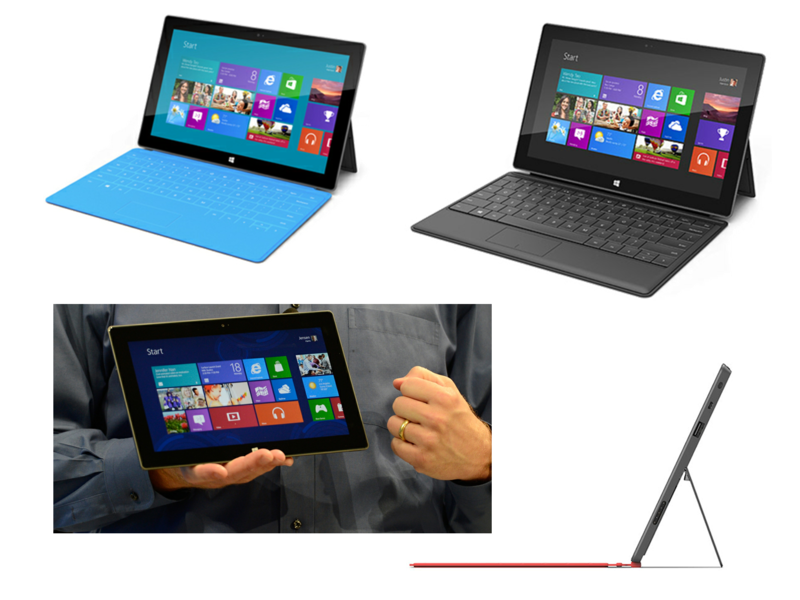 If you are an OEM intending to launch a Windows 8 tablet what would you reaction to the design of the surface? You may feel betrayed but, you would not want to leave the field and not launch a Windows 8 tablet. After all there is a chance that Windows 8 tablet will become a great success. I bet you would now feel compelled to come up with a matching design. I have been using Windows Phone (Samsung Omnia) for some time now. I must say that the Metro UI has a seductive quality. It is responsive and it feels warm. So, Microsoft may not have lost the game after all! I still think that in 3 years Windows Phone would become #2 in the market and here are 11 reasons. ← What does SIRI say about post-Steve Jobs Apple? In terms of general high quality of image, the Logitech got here out barely above the other two. I may add #7 Apps that I can add ! And It is clear that Microsoft went out to make a great Tablet PC and Tablet product this time, and I can’t wait. I’m mostly on Youtube, so feel free to leave me a comment there. Thanks for the video recording .. yes it highlights all the key points.